Now You Can Also Save Money and Still not Live Like A Begger! Buy it because you need all the advice you can get! 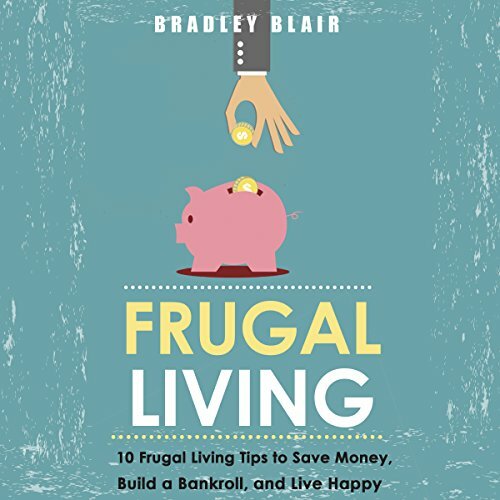 This eBook will help you discover ways in which you can cut on unnecessary expenses. It is not written in a dry manner, and so you just might complete it. Probably not like other eBook, it lays more emotional emphasis on the natural aspect of frugal living such as gardening and a small kitchen garden, homemade furniture etc. In your very room, there are items you can use to create elaborate decorations. Frugality is a lot about creativity. You will find certain small lessons scattered all over the book, snippets of advice. You will also learn about managing finances, along with how to live frugally. The book also makes clear some common mistakes people make when dealing with money. Once you learn to see the bigger picture, it will suddenly become very clear to you where you can cut down, and where you can splurge. You will also learn the importance of taking a step back and seeing if you truly require a product. It is always about the bigger picture when it comes to money. You cannot live in the ‘now', no matter how much you wish to ‘live in the moment'. It is not smart to splurge like there is no tomorrow. You deserve the Best! Imagine living in a world where all your money problems are gone. This eBook will guide you towards that goal. You deserve a salute for taking the first steps towards solving your problems all by yourself. Very cheap book for cheap people. It tells you to use less soap when washing hands or making your own detergent to clean the house! waste of 2 quid and 40 minutes of my life.